Process Ecology specializes in characterizing bitumen/ heavy crude oils and accurately predicting the properties of these materials, often based on limited bulk data. Conventional approaches such as extrapolating property data (e.g., viscosity) or using an out-of-the-box simulator to predict heavy oil performance usually does not give satisfactory results. Process Ecology has developed a novel characterization and statistical analysis method to characterize heavy oils. In cases where very little data is available, heavy crude oils with similar bulk properties are compared and reasonable characterization parameters can be obtained. Typically, a set of hypothetical components is generated that can be used in process simulators which accommodate customization of such components. Traditional oil characterization methods available in many process simulators fail when it comes to characterization and modeling heavy oils. Even when more detailed compositional or assay representation is available it generally does not provide insight into properly characterizing the heavier portion of the oil. Process Ecology has the expertise to use your data to develop an accurate characterization for your heavy oil. 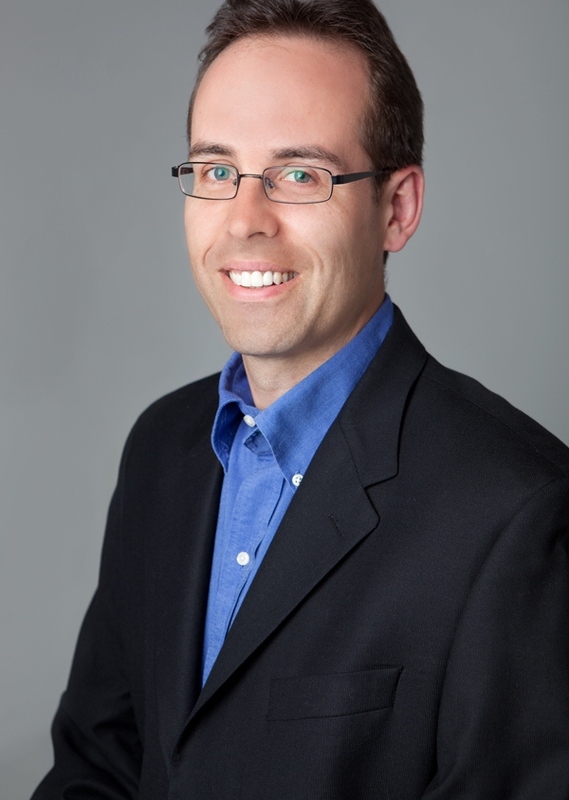 This is the first step in ensuring that there is an accurate basis for simulation applications such as pipeline transmission and heavy oil processing. The existing data is analyzed and similar oils are selected from our database based on bulk properties (API gravity, sulphur content, viscosity, etc.). TBP and physical property curves are generated using statistical methods to construct the curves. These curves are constructed such that there is a statistical match to existing data, such as the C30 analysis, sulphur content, bulk densities, and viscosities. In cases where oils and/or condensates are being blended, the combined curves/properties are calculated. The constructed curves are cut into small temperature intervals with an associated yield, density and viscosity. Hypothetical components are created to represent the crude data. Density, viscosity and other physical parameters are fitted to the corresponding curves. Interaction parameters are reviewed to ensure no unstable phase separation occurs. 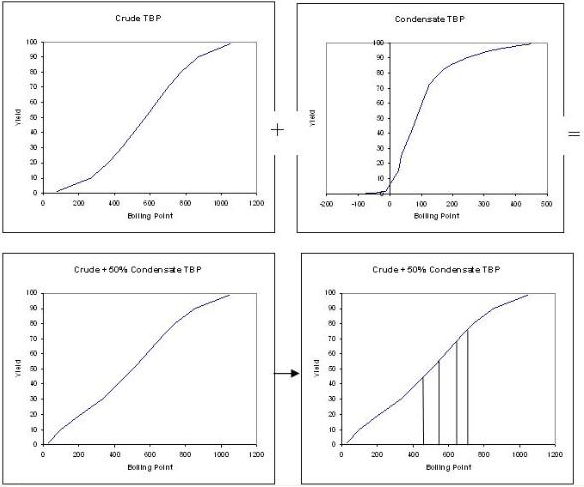 Crude and condensate TBPs are combined to generate a blended TBP, then the curve is cut into small intervals, and ultimately converted to hypothetical components.